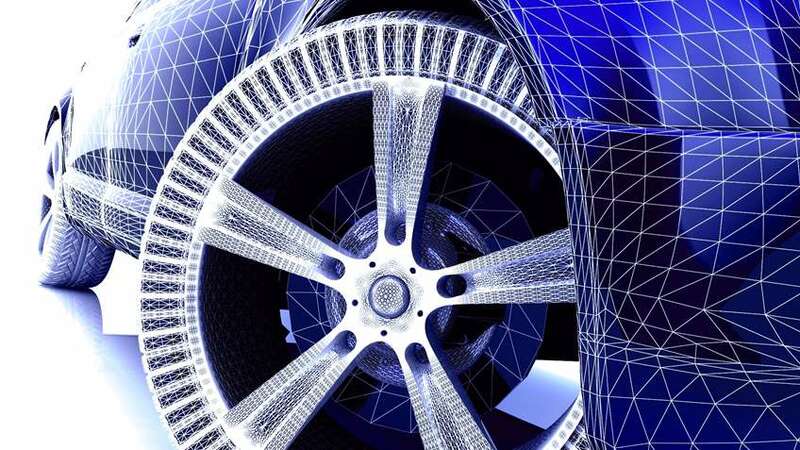 Contemporary control and information technology can pave the way for smarter equipment that easily connects with a tire company’s network infrastructure to deliver an extraordinary level of operational data. For example, these IO-Link-enabled smart sensors provide a continuous flow of information from the production line to monitor machine health and enhance productivity. And expanding analytics capabilities – available through FactoryTalk® Analytics and other software tools – are making smart machines even smarter. Choosing an On-Machine™ control architecture to apply and integrate these new technologies is one of the most cost-effective ways to realize the benefits. In any tire plant, floor and cabinet space are at a premium. Yet to help protect components from harsh conditions, OEMs typically rely on bulky cabinet-based control systems. Control components are mounted either in centralized cabinets or distributed junction boxes at a distance from the machinery. These systems not only consume a significant amount of space – they also feature complex wiring that is time-consuming to install and difficult to troubleshoot. An On-Machine approach moves the industrial controls and hardware closer to the application or onto the machine. The result? A reduced machine footprint and a simplified system architecture that minimizes wiring and speeds installation and maintenance. On-Machine design is becoming the preferred approach for OEMs serving a wide range of industries. And thanks to new industrially-hardened controls, On-Machine design is now a viable alternative for equipment installed in unforgiving tire plants as well. Take a look at the rugged IP67-rated Allen-Bradley® Armor™ GuardLogix® controller and ArmorStratix™ 5700 industrial Ethernet switch from Rockwell Automation. To help OEMs streamline machine installation and maintenance further, these components also include time-saving features – such as pre-configured quick connect systems. Across the tire production landscape – from extrusion lines and curing presses to tire building machines – an On-Machine approach can help OEMs design, develop and deliver equipment faster. For end users, an On-Machine architecture is a simpler solution that enables a lower total cost of ownership – from initial installation to troubleshooting and component replacement. See how this tire building machine OEM used an On-Machine solution to optimize maintenance, reduce wiring time by 20 percent, and decrease machine footprint by 25 percent. And discover more about Rockwell Automation solutions for tire OEMs and manufacturers.